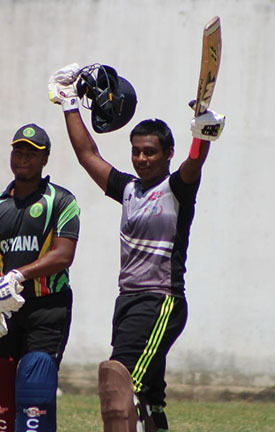 National U – 19 opener Sachin Singh slammed a belligerent century to guide defending champions Demerara Cricket Club (DCC) to crushing 196-run win over Diplomats in the opening round of 2018/19 the New Building Society, Georgetown Cricket Association (GCA) forty – overs tournament at DCC yesterday. 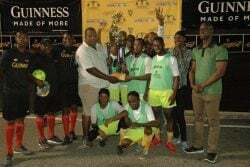 The victory came little over a week after DCC captured the 2017/18 title by defeating the Georgetown Cricket Club (GCC) at the same venue. The day, however, belonged to Singh who spared no one in his 82-ball knock of 171 which included 13 fours and 15 towering sixes which disturbed the neighbouring residence on a cool Sunday afternoon.His chanceless innings was his highest individual score to date, a brutal one as he dispatched anything that was loose, clearing the fence with relative ease. 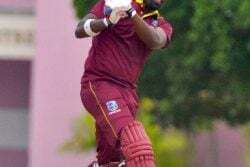 Singh, a former West Indies U – 16 skipper, also featured in several key partnerships with Garrick Persaud (44) and Joshua Persaud (24) before his demise with the score on 285 – 5 at the end of the 28th over. DCC eventually ended on 378 for nine after lower order contributions from shipper Ashmead Nedd (31), Steven Sankar (17) and Keanu Harry (33*). 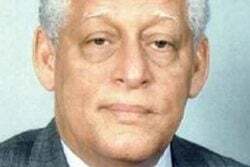 Diplomats’ Anthony Fraser (3-64) was the team’s most successful bowler while Andrea Foster (2-28) and Richard Woolford (2-50) supported. 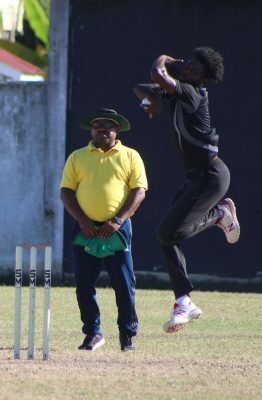 Diplomats in response received a bold opening stand of 70 from Anthony Fraser (46) and Sean Hughes (28) who found scoring relatively easy off seamers Carlton Jacques and Qumar Torrington before both fell to leg-spinner Steven Sankar. The middle order however folded after a decent start and they were skittled out for 182 at the end of the 36th over. Torrington (2-28) and Jacques (2-44) who got a little tap early on, returned to dislodge the middle order which gave support to Sankar who grabbed 3-40 form eight overs in a spell which was reminiscent of his former consistent exploits with the ball.